EGYPT: Trademark Applications | Smit & Van Wyk, Inc.
Must be notarized and legalized up to the Egyptian Consulate. Simple copy of certificate of incorporation or extract from the commercial register. Multi-class applications are possible: 1 application covers 1 trademark in 1 class. 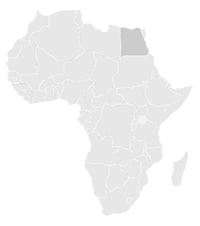 Smit & van Wyk, Inc. trademark agents in Africa: Our services include trademark applications, maintenance and protection in Egypt. The patent and trademark attorneys at our firm are dedicated individuals, skilled in their fields of practice, and can provide clear advice on complex legal matters to clients from all over the world.